When it comes to marketing your Online Store, you have a lot of channels and options to choose from, from social media, SEO to content marketing. 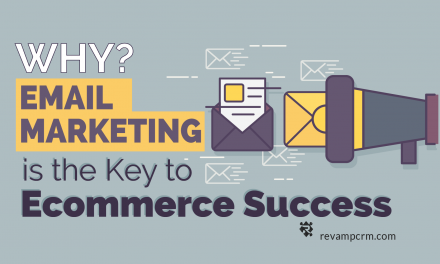 But it is a fact that Email Marketing remains the highest value and number 1 option that outperforms the rest. According to a recent research, the average return on investment ( ROI ) is $43 for every $1 spent. (Email has an ROI of around 4,300% according to the Direct Marketing Association) This is huge and you can’t risk it by having low open rates hence lost revenue. No, it’s not like books here. No one will give you the luxury of spending few minutes to flip over the book and check out the summary. People DO judge emails by ONLY their subject lines! In fact, 33% of email recipients decide whether or not to check an email based on the subject line. What, then? Every subject line in email marketing should be catchy enough to attract the receivers from in-between the crowd. Your subject line should smartly convey a given message that leads the recipient to the content of the email. This sounds so sophisticated, and it probably is, to be frank. But don’t worry; you’re in safe hands with these coming tips about emails. Without question, it is quite guessable that email subjects have a massive impact on click and read rates. It’s important to note that subscribers typically have a considerable amount of forsaken emails due to the never-ending work emails, retailer emails, transactional emails, and notification emails. It’s true your subscribers are now getting more and more emails daily. Now to ensure they actually get caught by yours, your subject line has to catch the eye in the midst of all that crowd. Perhaps you’re wondering now what is the trick to writing an email subject line that tempts subscribers to click? Make it “to the point”. Generally, the best subject line is short, eloquent, and concise. Email subjects will most likely get cut off if they’re longer than 50 characters. We want to hit the balance between provoking their curiosity, together with describing what is in the content. Avoid spammy buzzwords. A few examples are, “cheap,” “password,” “free,” “check us out,” “earn,” “call now”. Add personalization shortcodes. It is known for a fact that emails with included first name of the recipient in their subject line have higher click rates than those that don’t. 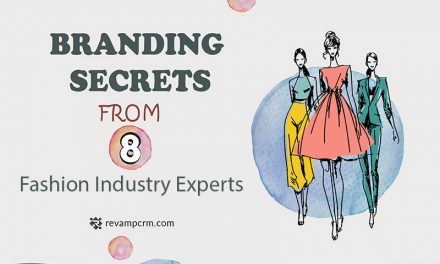 Revamp CRM can help you start personalizing your emails using the recipient’s name, city, or their purchased products to make your emails stand out. Constantly test your subject lines. Because audiences are different, and what resonates with one set of subscribers could be a complete failure with another set, this is where testing comes in handy. You’ve got to regularly test and measure till you get the results you wish for. What works best for your audience: Short or long subject lines? With numbers or without? Statements or questions? Not only can segmenting help you identify and send to some of your most loyal subscribers, it could also allow you to send follow-up campaigns to your most unengaged subscribers—those who haven’t opened any of your previously sent emails. According to a research, 39% of marketers who segmented their email lists experienced higher open rates, 28% experienced lower unsubscribe rates, and 24% experienced greater revenue. 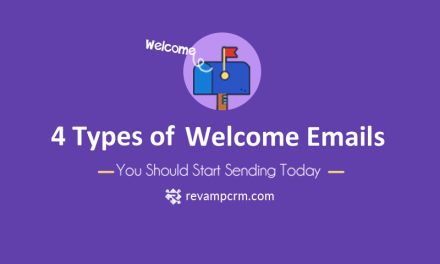 In addition, you wouldn’t be able to come up with subject lines that are relevant to your subscribers without segmenting, which certainly affects your open rates negatively. While everything is moving really fast in the world of eCommerce, you need to keep an eye on what solutions are the best to help you automate all your process. And it goes without saying that today’s number 1 solution is Email Marketing Automation. Automated emails are emails that are set to be sent according to website events, like a product purchase. Automated emails are emails that are set to be sent according to website events, like a product purchase. These types of emails have been observed to generate 71% higher open rates and 102% higher click-through rates than non-triggered emails. Its subject lines are always personalized, and it is essential because they are analogous to your subscriber’s purchase behavior; they are customized to them like a one-time email triggered automatically. And the best thing that these types of emails are segmented and perfectly-timed. Revamp CRM can evaluate your recipients, open rates, and click-through rates. It makes sure that your emails are delivered to your subscribers’ inboxes. Unlike other services, which cannot deliver your emails because of a poor reputation in ISPs. Send to active users: those who do engage with your emails. More accurately, you’d better focus on those who have opened your campaigns within the last six months. This way you increase the possibility of your emails landing in their inbox. Offer subscribers a preference center: A preference list from which they can select the types of emails they would like to receive. This is far smarter than just giving the option to ‘unsubscribe’. By avoiding these common mistakes and following our tips, you have a large chance of improving your ability to communicate effectively with your subscribers. 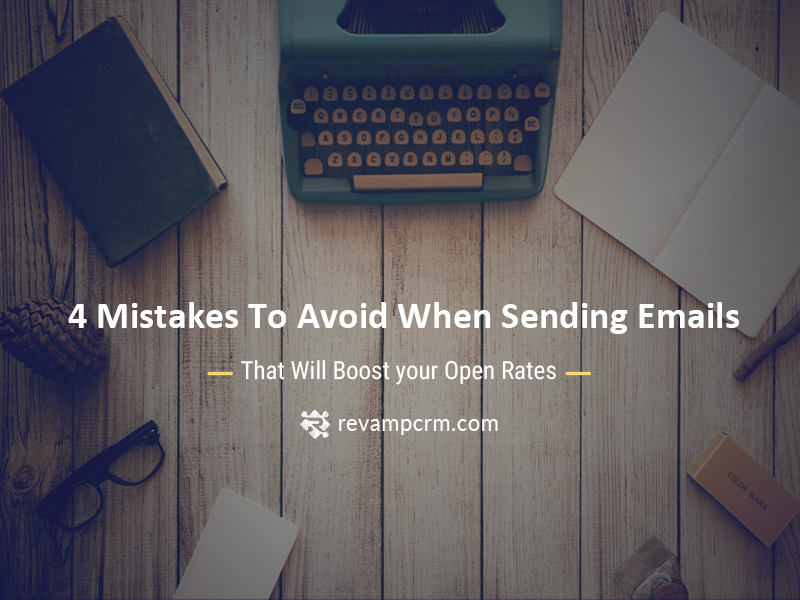 In addition, you will greatly reduce the chances of your emails getting delayed, ignored, or even deleted without being read. What’s more! Because we want to help you to relax entirely and ease the job for you, with our efficient segmenting and marketing automation tools, you can instantly have your customer base segmented, view your sales statistics, and send personalized and targeted campaigns to your segmented database using our ready-made email templates with killer subject lines. 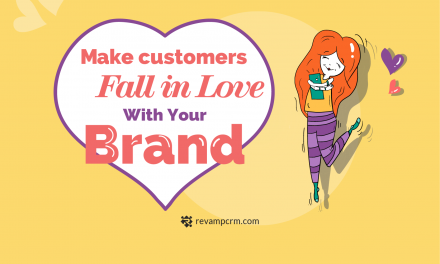 Go ahead and create your account to enjoy our 30-day FREE trial on http://www.revampcrm.com/eCommerce! A smart customer relationship is all you need to increase your profits, guarantee customer satisfaction, and get lasting results!